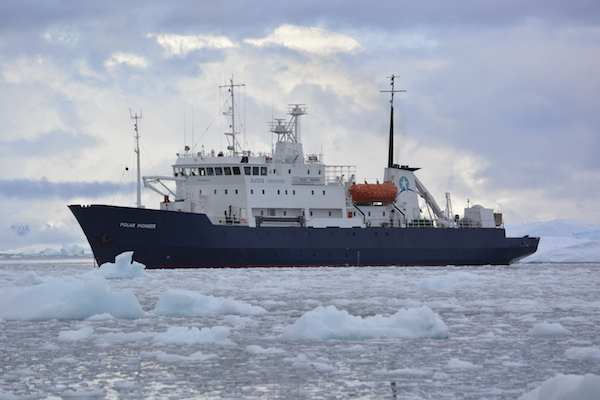 From the start, Aurora Expeditions was destined to be different. Co-founders Greg and Margaret Mortimer had a passion for adventure, exploring wild places and sharing the experience with friends. More than two decades later, that pioneering spirit burns just as brightly, as does Aurora Expeditions' preference for small-group, personal expeditions. At sea, all Aurora Expeditions are on ships of 60-passengers or less. Aurora is one of the only companies operating trips of this size. Fewer people means more solitude and greater flexibility if tides, currents, ice or weather dictate a schedule change. And because Aurora Expeditions has fewer people to ferry ashore, it can often make more landings. Aurora Expeditions' treks in Patagonia are limited to 16 expeditioners or less. This ensures personal attention and a nice mix of people to share the adventure. Aurora Expeditions makes the most of its size advantage to create intimate expeditions varying in length from 10 to 24 days. Simply choose the region you'd like to explore, the amount of time you've got and what activities you enjoy. Focus on one destination or combine back-to-back trips for the ultimate adventure. You'll be accompanied by an expedition team Aurora believes are the world's best. Remote area specialists, their on- board lectures entertain and expand your knowledge. Whether you're joining Aurora for the first time or returning for another thrilling adventure, its original goals remain unchanged. Explore wild places that stir the soul, offer personal attention on unforgettable expeditions and welcome new friends into the Aurora family. Aurora Expeditions welcomes many solo travellers on its trips, and their numbers are increasing each year. Maybe it's simply the nature of the expeditions, but Aurora understands what a big step it is for many to set off on their own. To address this, Aurora has developed its informal 'cabin-mate finding service' that matches solo travellers with a cabin mate of the same gender. And it has had great success so far! Aurora Expeditions' small groups and relaxed atmosphere make it easy to make new friends (and remember everyone's name! ), and the inspiring destinations are a great conversation starter. Plus, by sharing a cabin you'll also avoid paying any extra 'single supplements'. You might arrive alone, but Aurora can guarantee that you'll go home with lifelong friends. People who ordered Expedition Cruising 2019-2020 also ordered the free travel brochures below. Click on the images to find out more about these brochures.